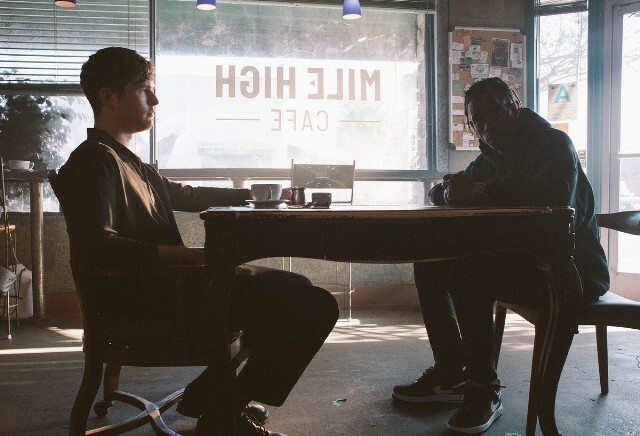 James Blake released his fourth studio album Assume Form less than two weeks ago and one of the standout aspects of the album was the star studded feature list he had enlisting hip hop acts Andre 3000, Metro Boom and Travis Scott. Today James released the visual for his Travis Scott featured track Mile High. The visual begins with the two sitting in a coffee shop as Travis tries to talk to James he goes into what seems to be a trance free falling into a black hole similar to the 2017 Jordan Peele film Get Out. Check out the visual below now.